Click on any question to get its answer. 1. Why are there businesses for sale? There can be many reasons for a sale. Each business sale story varies. A prospective buyer has to carefully read and understand the risk. 2. When can I buy a Business? There is no correct time frame or age to buy a business. Purchasing a business is a personal or family decision including when to buy, where to buy, why to buy, etc. However, most business purchase analysis reports show that most buyers already have some kind of experience/exposure to the business, either directly or indirectly. 3. Why should I buy a business? This is one of the most vital steps to establish financial freedom. Owing a business is a one of the greatest instruments for financial security. The business will run according to your ideas, ways, and controls and all this will bring cash flow to achieve/fulfill your dreams. You’re guiding and deciding your lifestyle and financial wealth. The success of a person is made of many components. One of the keys to success is pride of ownership. When you buy a business, whether run by yourself or by employees, the bottom line is cash flow. The business has to bring positive cash flow and such cash flow has to pay all your current bills and save money for your future needs. Successful stories tell and prove that business owners are happy because they are bosses and they are controlling their wealth. 4. What is the best business to own? Beauty is in the eye of the beholder. Most prospective buyers want to own a profitable and well-managed business in an industry that holds personal interest for them. On the other side, some prospective buyers may look for opportunities that offer turnaround potential where they can apply their special skills. In reality, there is no industry that is better than another. Your financial advisors/brokers can consider and recommend businesses before pursuing purchase. A case study shows that there are specific businesses that are more successful than others, even in the same industry. 5. What kind of business can I buy? There are no restrictions on buying a business. However, prospective buyers should only consider a business he or she can feel comfortable to own and operate. The time and effort you are going to contribute will be an important factor to consider before buying a business. Besides these, you can also consider the amount of investment, risk tolerance of the business, nature of the business, viability of the business, rate of returns, experience of the business, type business, etc. 6. Do I need to discuss with my family members before buying the business? The first and foremost steps is talking with your family members and discussing why you are planning to buy a business. Your family will ultimately receive the benefits and also they are your possible employees who will help to take care of your business. Family discussions and approvals can also bring family support to run the business and also bring new ideas which strengthen your business leading to more positive cash flow. 7. Do I need to take advice from the professionals before buying the business? It is always a good idea to talk with your financial advisers such attorneys/financial planner/CPA/etc. regarding the purchase of a business. 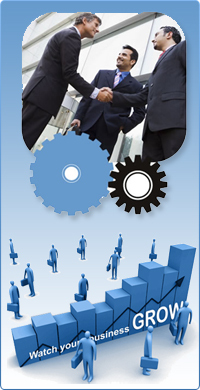 They can evaluate your financial needs and also they will find out the available cash sources to buy a business. This certainly makes you more comfortable and confident to buy a business to increase your financial freedom and wealth. 8. Can I start a business rather than buying an existing business? Yes, you can and you have every right to start a new business. However, in order to start a business you need to identify the location, get a master lease, apply for permits, apply for the licenses, and you need cash to improve the premises. It takes between three to six months. In some cases you may not get all the permits and licenses as they are selective and have zoning or area restrictions. Any newly opened business requires eight to twelve months, or even more, to establish good sales. An existing business has a proven track record. The failure of small businesses is largely in the start-up phase. The Existing businesses have demonstrated that there is a need for that product or service in a particular area or locality. Besides this, financing is one of the key factors. Financial institutions are reluctant to lend to establish a new business as there is a higher risk involved. Whereas in an existing business with a proven track record, a financial institution will be more inclined to lend due to lower risk. 9. Do I need a business broker’s services to buy a business? Brokers are qualified and licensed persons/entities who are specialized/authorized to conduct sales/financial transactions. They conduct business transactions very professionally and legally. They can provide/assist with all kinds of services such as selection of a business, writing the contract, getting the requested information from the seller or other broker, getting licenses and permits, providing the right place to complete the transactions to protect your funds, transferring the business by coordinating with all parties, etc. Brokers are an excellent source of information about businesses as they are familiar with markets, can advise about trends, pricing, local area changes, etc. Besides this they always coordinate/handle all of matters in the right direction and coordinate with all parties until the successful transfer of a business. 10. What kind of business broker should I select? Read the profile of the broker and read and review his works and public comments on the public records. You can also check with government authorities to check his license status. Once you find a list of brokers, talk with them to see who matches your criteria and select them to represent to you. Before signing any documents, get the copy of their license and E&O. And make sure you get copies of all signed documents. It is always to good idea to hire brokers who are specialized in your particular area of business sales and also preferably a local broker who has more knowledge on the local business sales and local market trends. 11. Do I need an attorney? In reality you may not, however it’s in your best interest to get an opinion from your attorney for all contracts, such a lease, franchise agreement, oil supply contract, indemnity contract, assuming the note, seller carry note, reviewing of CC&R, etc. This service could cost some money however their opinion can eliminate future problems and keeps you confident and comfortable in a business transaction. It is always good to hire an attorney who is practicing business related laws/contracts as they are familiar with all kinds of clauses. 12. Do I need a CPA/accountant? In reality you many not if you have enough knowledge of tax law. However, it’s in your best interest to conduct a financial audit by your CPA/accountant for federal tax, state tax, local tax, VAT, UST, other taxes, invoices, balance sheets, profit and loss statements, POS reports, etc. This service could cost some money, however their opinion/audit will tell the profitability and risk of the business. This gives an assurance of business cash flow and also gives the value of the business. It is always good to hire a CPA/attorney who is practicing business related bookkeeping as they are familiar with all kinds of business taxes. 13. What is the business worth and what is the difference between value and worth? They are closely related but have different definitions. The business worth is a market value of the business given by the appraiser/broker/other valuation professional based on a combination of tangible and non-tangible assets. Value is the income generated by a particular business without considering fixed assets. In the market it is very common to see some businesses with value higher than worth and vice versa. 14. What should I do once I like a business? If you have broker, ask him to write an offer with all of your conditions and submit it to the seller with all necessary documents. 15. What is the FMV (Fair Market Value)? It is the value of the business in the current market. To know more about the FMV, cash flow, valuation, and worth please read the business valuation column for more detailed information. 16. What is a confidential agreement (CA/NDA/SA/CDA/PIA/CA)? This legal mutual contract creates a confidential relationship between two or more parties/entities to exchange confidential materials, knowledge, business trade, and secrets, etc. between them. This protects both parties from all kinds of misuse of the received non-public information. It is generally called a Non-disclosure agreement (NDA)/confidential agreement (CA)/confidential disclosure agreement (CDC)/proprietary information agreement (PIA)/secrecy agreement (SA). 17. Why should I sign NDA/CA, etc.? These are the most common reasons why sellers/brokers want to sign an NDA/CA/SA/PIA etc. 18. What can I do once I sign the NDA/CA etc.? 19. What are the things I cannot do once I sign the NDA/CA? 20. What is meant by DD (due diligence)? An investigation or audit by the buyer/buyer’s representative. Due diligence serves to confirm all material facts in regard to a sale. This is a systematic and professional investigation process which includes both quantitative information, such as daily sales, monthly sales reports, invoices, paid in, paid outs, taxes, and qualitative information, such as an assessment of the existing management, operations, existing licenses, permits, violations, zone changes, lease, etc. The buyer or buyer agent acquires and analyzes this information before deciding whether or not to proceed with a proposed business purchase transaction. 21. What are the adverse signals in DD (due diligence)? Not showing the books/licenses/copies, etc. 22. What should I do if there are adverse signals while I am doing DD (due diligence)? 23. What should I do once due diligence shows a business is good to buy? As per your contract you have to open escrow and deposit funds as per the contract. Apply for licenses and permits as per the business requirements, and coordinate with all persons concerning the business such as appraiser, attorney, lender, CPA, etc. Once everything is set, the escrow will do all the necessary paperwork to transfer ownership to your name. As time is of the essence you all have to work on a good faith estimate in a timely manner. 24. What is the EBITDA? EBITDA is earnings before interest, taxes, depreciation and amortization. 25. What is the DE/SDE? This is a common word used in the business industry which means discretionary earning (DE) or seller discretionary (SDE) which is an estimate of the total financial benefits for a full time owner operated business which would come from the given business on an annual basis. It is also called cash flow (CF), adjusted cash flow (ACF), owner benefit (OB), owner profits (OP), recast earnings (RE), normalized earnings (NE), Or annual earnings (AE). This is an important factor used by the seller/broker/appraiser the valuation of the business. 26. What is financing and how many types are available in the market? Seller financing is usually the best, fastest, and easiest to obtain. It also tells the buyer that the seller has confidence in the business. There are no loan fees and the interest rate is usually lower than bank rates, but the term of the loan is often shorter. Seller carry notes are the fastest close of escrow and 99% such businesses are successful. Banks/ financial institutions will lend money to businesses that show strong earning history on tax returns. They require a lot of documentations and payment of up-front fees. In recent years, besides the business as collateral, the financial institutional may ask for additional collateral such as real property. It is a time consuming procedure but financial institutions will investigate more than the buyer to assess the risk of the business. Longer duration of loan, lower interest rate, etc. are the advantages. 27. Do I need a bookkeeper/accountant? The most important thing to a business owner is bookkeeping. This not only tells about your business track record, you can also check or verify at any time to know your business is heading in the right direction. There is no specific law stating that a business owner should have a bookkeeper or accountant; that is up to the business owner’s discretion. Based on a market survey, 99% of successful businesses have bookkeepers/accounts. They are highly professional and maintain record sales, invoices, profit and loss, employee payroll, inventory track, all expense bills, etc. which is very important for any business. They can also represent you for all kinds of problems. They also file your tax returns (federal, state, local, UST, VAT, sales tax etc.). It also is necessary to get credits from vendors or loans from lending institutions. If you ever plan to sell your business, you will need the records and once you have them you can sell and you will get FMV based on your records. Talk with your local accountant/bookkeeper to set you up with a good bookkeeping system. 28. How can I run my business profitably and successfully? There is no special way to run your business in a profitable manner. However, world business market analysis says there are a few common things that influence the success of the business. Compare market trends and watch your competitors’ business for what they have and what you do not have. Once you know the gaps you can fill them in. Most small businesses will be successful because of owner involvement. Spend some time every day on the business, review the operational methods, and adopt new ones which make sense and money. Train employees and keep the premises clean and neat which always attracts customer. Good customer service. Treat the clients with respect and make them comfortable talking with you and your employees. This increases your sales greatly. Think about what you’d expect as a customer of your business and implement it for success. 29. What are the common reasons for the failure of a business? 30. What is escrow and why should I use it? Escrow companies are licensed, neutral third parties which can help you change ownership. They can be an attorney/ broker who can conduct escrow services. They are familiar will all local laws, state laws, and the business, and they coordinate with all parties involved in the transaction to close the transaction successfully. The escrow service money however it protects all parties and gives peace of mind. 31. What is a down payment and how much will I need to buy a business? Down payment is the amount of hard money/cash investment or injection by you in order to buy/get ownership of a business. This amount varies from transaction to transaction. The rest of the money for the purchase will come from a financial institution as loan or the seller will offer financing. The case studies show that the amount is usually 20 to 40% of the sale price. 32. Do I need to pre-qualify to buy a business? It is always good to prequalify with banks/financial institutions as every seller wants to see how serious a buyer is. Also you will be reviewed by the financial institution and they will tell you the maximum amount that they can lend you. With that, you can look for business in that price range and that helps to close the transaction at said time. 33. How much cash or down payment do I need to buy a business? There is no certain minimum amount; however in most cases you may need any where between 20 to 40% of the total purchase price. The rest is either seller carried financing or institutional financing. A higher down payment gives a fair chance that the seller will accept your offer and also lenders are more comfortable lending with lower interest rates. Some sellers or brokers are not responding to my calls or emails. 34. How can I get more information on buying a business? To get more information regarding the purchase of a business and related services, please read our buyer resource column for more detailed information. Or, please send an email to support@Bizworldusa.com or 415-234-8833 and we will ask one of our free business professional advisors in your area to contact you to help you find a business.